VIZ Media and Haikasoru Announce "The Thousand Year Beach"
VIZ Media and Haikasoru Announced Publication of Novel, "Sisyphean"
VIZ Media and Haikasoru Announce "A Small Charred Face"
VIZ Media and Haikasoru Announce Release of "Orbital Cloud"
VIZ Media and Haikasoru Announce "The Gate of Sorrows"
VIZ Media and Haikasoru Announce "Legend of the Galactic Heroes, Vol. 1"
VIZ Media and Haikasoru Announce "The Gate of Sorrow"
VIZ Media and Haikasoru Publish "Hanzai Japan"
VIZ Media’s Haikasoru science fiction imprint delivers a new literary release with the publication of THE THOUSAND YEAR BEACH on June 19th. Author TOBI Hirotaka was born in 1960 and won the Sanseido SF Story Contest while still a student at Shimane University. From 1983 to 1992 he actively contributed short stories to Japan’s SF Magazine. 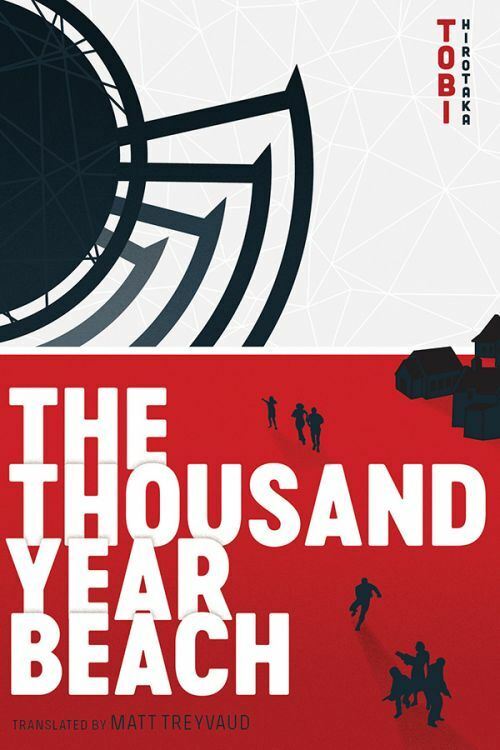 After a hiatus of ten years, he returned in 2002 with his first full-length novel, THE THOUSAND YEAR BEACH, which took Second Prize in SF Magazine's Best SF of 2002. In 2004, Kaleidoscape, his collection of revised and new works, took top honors in that year's Best SF awards in the magazine, as well as the 2005 Japan SF Award. One of the stories from the collection, “Shapesphere,” also won the 2005 Seiun Award for Best Japanese Short Story of the Year. In 2010, “Autogenic Dreaming: Interview with the Columns of Clouds” earned TOBI his second Seiun Award for Best Japanese Short Story. The work also appeared in English in The Future Is Japanese anthology (published by VIZ Media). He won his third Seiun Award for “Sea Fingers” in 2015, which appeared in English in Saiensu Fikushon 2016.